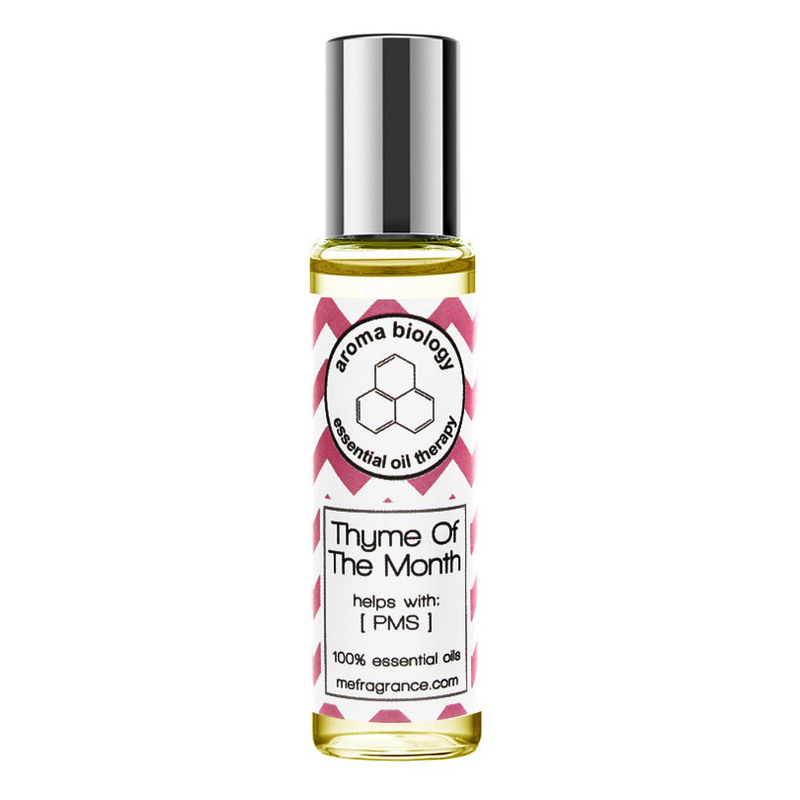 Our Thyme of the Month Essential Oil blend uses the power of Thyme and it's amazing medicinal properties to help you through this period. This specially formulated blend will help control hormonal changes and alleviate some of the ailments your body is going through. Thyme: stimulating, re- viving, headache relief. Neroli: Calms cramps & pre-menstrual tension. Ylang Ylang: helps w/ tension and anxiety. Geranium: helps w/ de- pression & inner peace.